Taymara was formed as a charity by volunteers with a wealth of maritime experience, to transfer that experience to and for the benefit of the community. Our particular aim is to help vulnerable groups and assist individuals to make positive changes in their lives through experience of life and training at sea and connected environments. Mission Statement: Taymara will provide support to those who will benefit from a fresh and stimulating perspective on their future lives, prospects, potential, knowledge and skills. Taymara evolved from activities which our founding members explored as volunteers in the Maritime Volunteer Service (MVS). Taymara’s activities and aims were not consistent with the mainstream and long-term aims of MVS, and Taymara was therefore established as an independent entity by those of us who wanted to utilise our maritime skills and volunteering for the benefit of the community. Taymara was registered as a company – SC334650 – on 29th November 2007, and as a charity – SC039319 – on 23rd February 2008. The Business Plan 2013-2018 advises Taymara’s six trustees in their determination of the charity’s future development and direction. I first joined Taymara in 2014, whilst studying at school and looking for something to further bolster my interests in working and learning in a maritime environment. Thankfully one of my friends was already involved with Taymara, and introduced me to the group. Since then, I’ve never looked back! I left school to continue education at college, studying HNC Petroleum Engineering- with eventual aspirations to work offshore. However, due to uncertain job prospects, I focussed my career aspirations towards a career at sea – more so the Merchant Navy, for which Taymara has provided impeccable learning, training and maritime experience to prepare me for my future. Working with Taymara provided me many opportunities to undertake, with vessel maintenance, vessel training and chances to help out with numerous projects during the year. 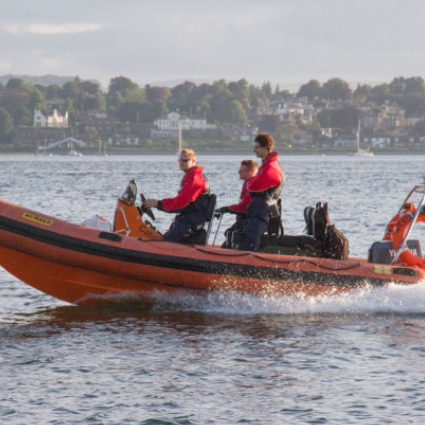 My time with Taymara allowed me to gain maritime qualifications in Powerboating, First Aid and Radio – providing me with much sought after and relevant experience that companies look for in anyone wishing to pursue a career at sea. As a result of the training, experience and work I have done within Taymara, I have been offered a Deck Officer Cadetship with a company (P.G. Tankers) commencing September 2016. Without the help of Taymara, I wouldn’t have been able to put my skills and interests to use, and subsequently may have struggled to kick-start my career aspirations of working and learning at sea.